A common question about Nando's is how did it begin? There are so many different answers on the Internet that it has become almost mythological, and shrouded in mystery. Did it start in the UK, Portugal, South Africa, or the deepest, darkest peri-peri heartlands of Mozambique? Well the Rate YOUR Nando's Team is here to clear things up. Not only do we summarise the origins of Nando's for you, but we provide a handy list for further reading. Fantastic if you ask us! If you agree, spread the word by recommending this page on Facebook above. Do you know something we don't? Contact Us to let us know or fill in the form at the bottom of this page. 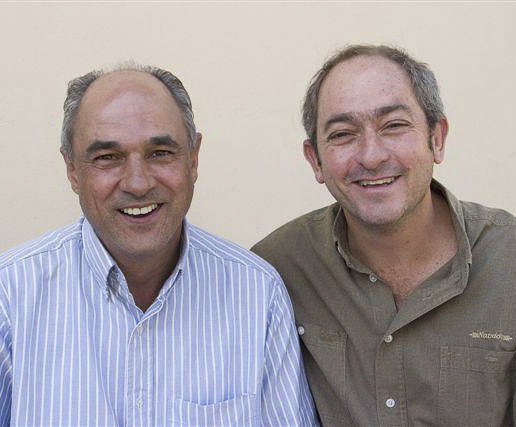 Nando's was started by Robert Brozin and Fernando Duarte in South Africa. They worked together at Brozin's father's electronics business, where Fernando was a technical manager, and Brozin was a markeing manager. Fernando was from Porto, Portugal, and his family had emigrated to South Africa. In 1987 Fernando took Brozin to a chicken restaurant called Chickenland in Rosettenville, Johannesburg. Brozin was so impressed with the restaurant's flame grilled chicken that he proposed the pair of them bought the restaurant. Against the odds, they actually did it! The original purchase was made at R354,000 - around £65,000 at the time. The restaurant was then named after Fernando himself, and his son, who is also called Nando. Early on Nando's adopted its mantra of not being just about the chicken, but chicken embodying the five core values of pride, passion, courage, integrity and family. But alas! 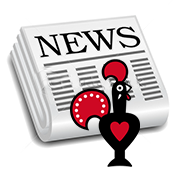 In its early years, Nando's wasn't the success story it is today, but it actually struggled to get started in some countries; specifically the UK, where the franchise rights were bought by the Enthoven family in 1992! The first UK restaurant opened shortly after in Ealing, West London. In 1995 the son Robby Enthoven (who is still the Managing Director of UK Nando's to this day - but under a different name), took on the struggling restaurants in Ealing Common and Earl's Court , and came up with the order at the till, sit down and wait for your food philosophy. Such a revolutionary idea this was! The public loved it (not to mention the chicken), and has never looked back. Year 1992 1998 2002 2005 2008 2014 ? 2012 1,000th store Worldwide opens! Check out our International Map for details on how many Nando's are in each country. 1997 71 restaurants in South Africa, 46 internationally. 1995 45 restaurants in South Africa, 17 additional across Namibia, Botswana, Zimbabwe and Swaziland, United Kingdom (4 restaurants), Mauritius, Canada, Israel and Australia. 1990 3 restaurants in South Africa, 1 restaurant in Fernando's homeland of Portugal. 1987 1 restaurant in Rosettenville, Johannesburg. What makes Nando's open in a particular country? The population must be a big fan of chicken (duh!). Consumers must also like spicy food (can we be anymore obvious here?!). The Nando's experience must fit in well with the country's lifestyle (it's hard to believe, but in some places people just wouldn't adjust to the Nando's way of life). The country must have a significant English-speaking populace (this was important in the early days but is likely to change in the future).